Don't miss out the great offers we have lined up for you this week! 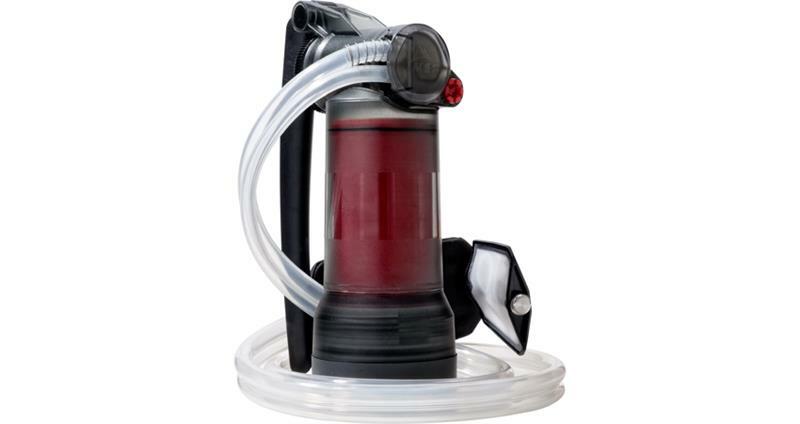 Absolutely ... the world's most advanced backcountry purifier. Act now if you want one at the best price anywhere! 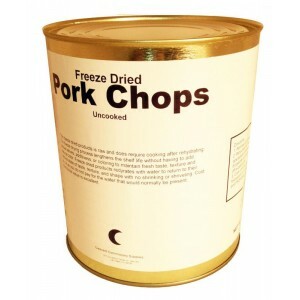 BUY MORE, SAVE MORE: Surplus Freeze Dried Pork Chops! By the can or case ... 25-year shelf life! Delicious? Yes indeed. The availability of freeze-dried pork chops is ALWAYS a gate-busting, barn-burning event! If you don't have these yet in your larder, then don't delay any longer. If you already do, and you've tried them, then you know you need more! 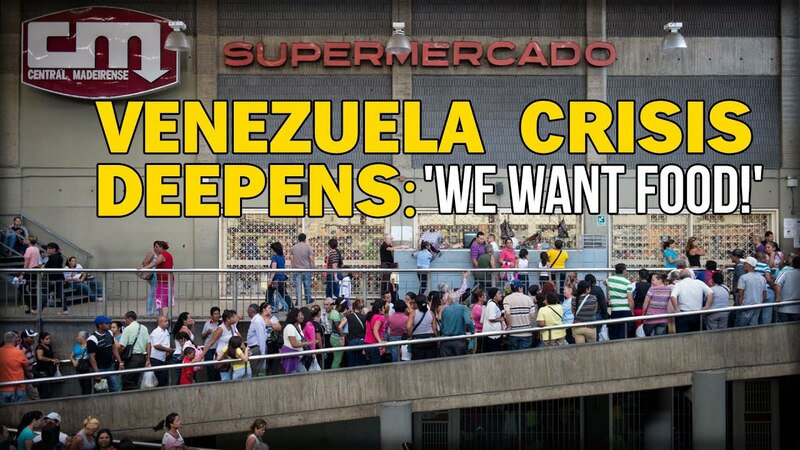 We are already selling them at the best price anywhere. Mountain House Sale is On! Enough food to power you and your family through whatever comes your way. 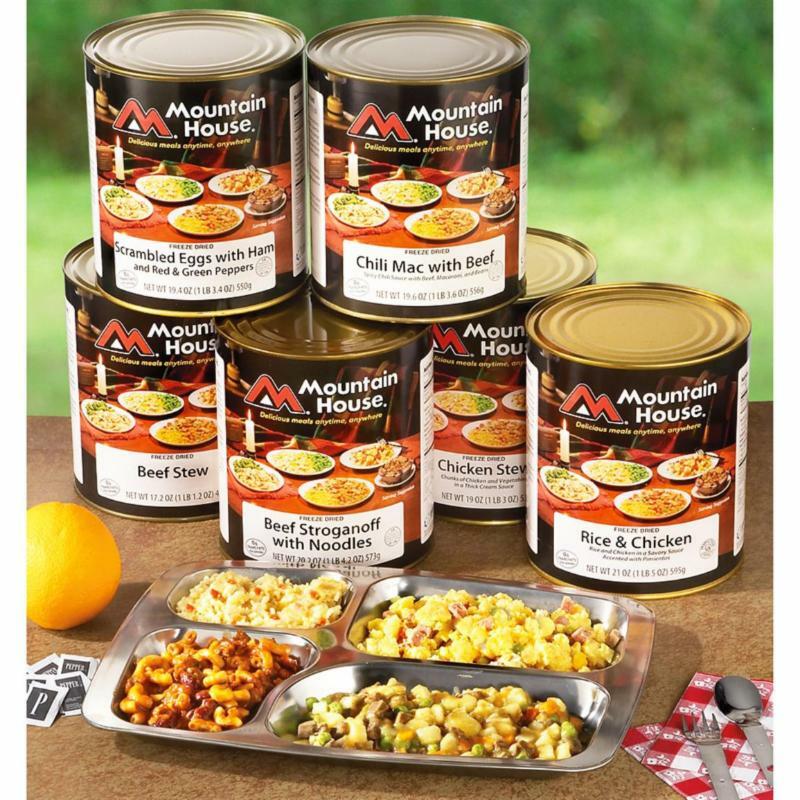 Even if you lose electricity (or if you don’t feel like ordering pizza again for dinner), most Mountain House #10 can meals include 8-9 servings to ensure you always have a hot meal waiting for your family no matter what. Just add hot water and your breakfast, lunch or dinner will be ready to enjoy in minutes. Fresh from the factory, 30-year shelf life, stackable and lightweight. Most popular varieties in one place. These just-in-case kits are the hottest Mountain House product of the year. Almost everyday we have inquiries from overseas ... every continent ... a multitude of nations ... people trying to have Mountain House orders shipped to them. You do not have to jump thru hoops to get yours, so rejoice and get it today. Presenting sale on the famous Kelly Kettles. Now boil water and cook fast no matter where you are. No need to even carry fuel. These kettles can be life savers and are a must-have item for any disaster and survival kit. Using only a handful of fuel such as sticks, Pine cones, Birch bark, dry grass, etc. the kettle will boil in just 3 - 5 minutes. It's also great for Outdoor Camping. You can buy a kettle, buy accessories or buy an entire kit. Order Soon, Sale Only for This Week! Father's day is just a week away. Check our offers for this day. Buy, save and enjoy these delicious products. Order a sampler, combo package or simply a full case of delicious canned Red Feather Butter. Great Prices! 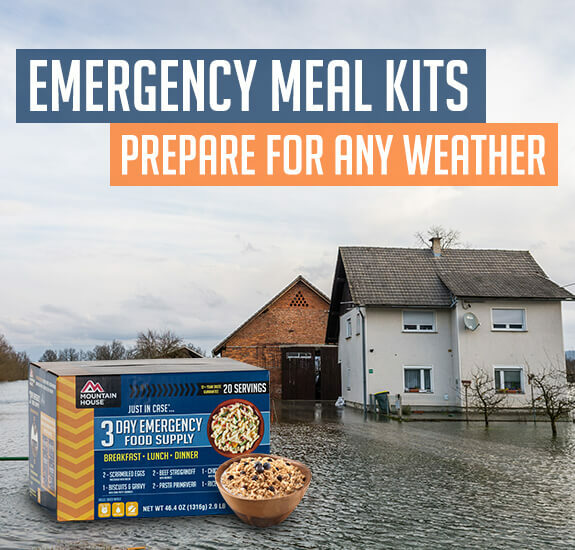 Emergency kits are a essential to every home. They can be life saving at times. One should not just own them but also be familiar with the contents and how each is used. It can make a lot of difference, if and when needed. So we have compiled for you a list of emergency and outdoor kits that can be useful. Seriously expand your Every Day Carry (EDC) capacity with this 7-piece kit of new gear. With over 75 items, the ESK-04 is designed to support two people for up to three days. The ESK-04 includes general and medical supplies with the addition of a quality AM/FM radio (batteries included). It's not everyday that we send across a survey, but when we do we really like to know what you are thinking. Please do take this survey. Your opinion is valuable to us. As a token of thanks, we are also offering you a Gift Card on completion. We are running a giveaway for all our new subscribers. Just sign up with us and we will deliver your free sample to your address. Shipping is on us. "We just used our Wondermill electric grain mill for the first time after our recent purchase. OMG!!! What a great machine! Easy to set up and use, we milled approx. 4 -5 cups of hard red wheat in 3 mins. That would have taken at least 20 mins along with much sweat and sore arms with our manual mill. This is a godsend, best price on the internet and fast shipping. Thank you so much for offering the best product at the lowest price!" We exclusively bring you U.S. government/military surplus freeze dried stock cans. These cans were sealed in an oxygen/moisture free environment, have a 25+ year shelf life, and do not require refrigeration. Also, check out bacon from Yoders. It is among our most popular storage foods, also great for every day use. Now serving 3 cans and 6 cans. Offer on already discounted products. ONLY FEW UNITS AVAILABLE. BUY BEFORE THE STOCK ENDS!